Laminate Restoration UK is the main distributor of LamanatorPlus™ products in the UK. We are based in Runcorn, Cheshire, and as well as providing a floor restoration service to our local customers we deliver the LamanatorPlus range of products on-line across the UK. Having more than fifteen years experience in the carpet and upholstery cleaning business I saw more and more people switching from carpets to laminate flooring. Consequently, I was being asked whether there was anything to bring the shine back to tired and dull looking laminate floors. 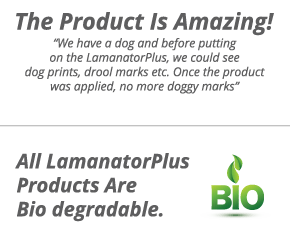 After some research into the market I came across the LamanatorPlus™ restoration system, developed in Canada. This is a DIY product that deep cleans, restores, protects and brings the shine back to laminate and hardwood floors. I began providing a laminate floor restoration service in our local area and now offer individuals (or dealerships) the opportunity to purchase the solutions on-line in the UK. The LamanatorPlus™ solutions are applied using a microfibre mop, no specialist equipment is required, which makes it an easy and cost effective way to restore your laminate floors. The system is equally effective on tile, vinyl, pvc, slate, concrete, ceramic, Amtico and Karndean flooring and can also be used to restore laminate worktops and wood kitchen unit doors. Order LamanatorPlus™ products online now from Laminate Restoration UK. You will not be disappointed. Business Address: Laminate Restoration UK, 17 Brambling Close, Runcorn, Cheshire, WA7 3JN.